Music Controls Pro has been dropped into the Big Boss repository. This new version of the tweak allows you to control your music from a whopping 46 music programs including Pandora, Spotify, Grooveshark and your standard iPod app. 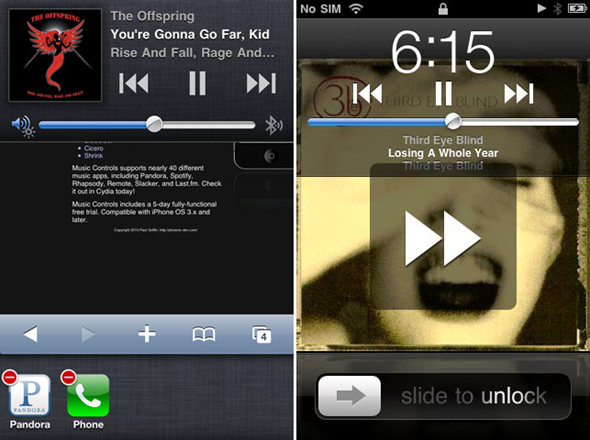 The tweak runs in the background; so pressing the Home button or interacting with other apps won’t stop the songs or even videos you may be listening to. While the tweak is running; you can control your music collection by many ways including by your headset, by Bluetooth or directly from your lock screen. 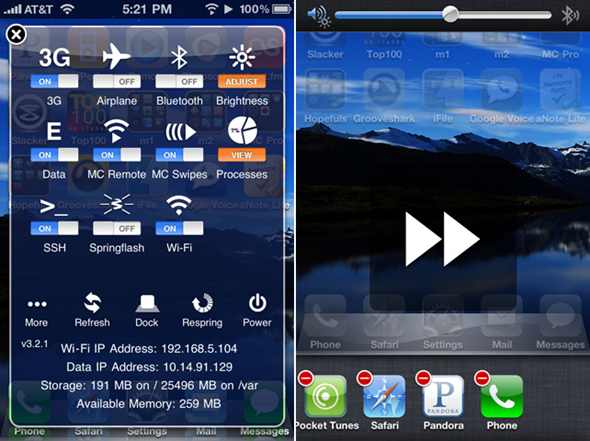 It also comes packed with SBSetting toggle options, dock metadata for car stereos and remote server support. 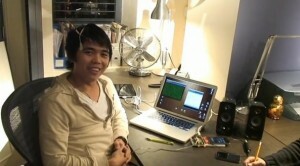 The remote server allows you to control your music playing on your iPhone from another iPhone over WiFi. I’m still unsure how this would be useful although you can turn this particular feature off. You can find Music Controls Pro in the Cydia store and is currently priced at $5.99 but if you’re not yet sold, give it a shot for free; you’ll have the option of downloading a full trial for 5 days. Plus, there are reports that the tweak is crashing or not functioning properly for some so it may be a good idea to check out the trial anyway before you cough up the dough. Copyright © 2019 It's My Phone. All rights reserved.